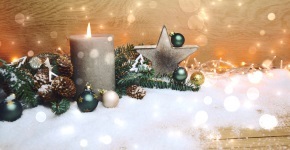 Management and staff of VGB PowerTech e.V., VGB Research Foundation and VGB PowerTech Service GmbH would like to thank you for the good co-operation in this year and wish you a Merry Christmas and a Successful New Year. Christian Ullrich, head of the Department Technical Services of VGB PowerTech e.V. was awarded the 2,000 Euro Galileo Prize Materials Testing 2017. The three associations Deutsche Gesellschaft für Materialkunde e.V. (DGM), Deutsche Verband für Materialforschung und -prüfung (DVM) as well as Stahlinstitut VDEh honoured at their Conference Materials Testing the 34-year-old engineer Christian Ullrich for his outstanding merits in the field of materials for high-temperature and ultra-high temperature power plants. Christian Ullrich broke ground for power plant engineering with his achievements in materials development, quality assurance, construction monitoring and analysis of damage. The challenge of integrating rising shares of variable renewables has become a key focus area of the international energy policy debate, namely in the Clean Energy Ministerial (CEM) – which launched a campaign on Advanced Power Plant Flexibility at CEM8 in Beijing in June – in the G20 Energy Sustainability Working Group and in a number of bilateral cooperation. In this context the German Federal Ministry for Economic Affairs and Energy organized a series of events including an international workshop, experience exchanges and site visits. International experts from industry, government and energy related institutions discussed the challenges of system stability in times of transition towards a decarbonized energy system. It was common sense that dispatchable power generation is one important contributor to a flexible energy system. The Excellence Enhancement Centre – VGB’s partner organization – presented the Indian perspective. The outcomes of a recent study addressing the flexibility potential of two power plants were in the focus of that presentation. This study had been executed jointly by EEC and VGB under the auspices of the Indo-German Energy Forum . In the same context VGB has been working on the so called “Flexibility Toolbox”. The Toolbox comprises measures, solutions and recommendations for flexible operation of thermal plants and was also presented by VGB during the CEM8 event. On August 31, 2017, the German building authority has published the (Model) Administrative Provision – Technical Building Rules (VV-TB) and the included Requirements on constructions regarding impact on soil and water (ABuG) specifying requirements on constructions regarding environmental protection which by now were regulated in national technical approvals. The provisions contain requirements on content and concrete leaching for fly ash. Proofs are binding for fly ash from co-combustion while a supplementary note frees fly ash from coal and up to 5% by mass sewage sludge co-combustion from the proof. For bottom ash from co-combustion, the provisions contain requirements on content and leaching. The regulations have to be implemented in the German federal states’ building codes. Two states have already introduced them other states have signalled that it will take some time. The further use of fly ash with existing national approval is possible. The national approvals are seen as state of the art and serve as a technical proof as long as the related conformity procedures are followed. New sources with other co-combustion materials than 5% sewage sludge need to apply for a European Technical Approval. For new sources of fly ash from coal only the proofs are subject to voluntary tests. A guideline of the German Association for reinforced concrete is under development. The guideline will deal with details on conformity control and handling of single value exceedances. In addition, a group works on a revision to deal with all comments received during the notification procedure. Since 2009, VGB is working together with EURELECTRIC on the European grid code topics: VGB is in charge of the technical and operational codes and EURELECTRIC of the market codes. 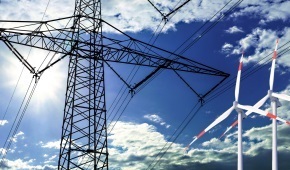 Their complementary actions have been recognized by the EC and ACER since both associations got seats when the EC created the grid connection and system operation European Stakeholder Committees. The codes and guidelines are now (almost) finalized, but many risks remain! In principle, the connection codes are applicable to new installations, the operational codes to all installations. Requirements on existing power plants can be revised every three years, especially if the security of supply is decreasing significantly. Special attention has to be given to modernization projects of existing power plants. The Guideline on electricity transmission system operation was published in the Official Journal of the European Union on 25 August 2017 and came into force on 14 September 2017. For example, one outcome is that the TSOs have to respect the voltage and frequency limits of existing installations (article 25.2). Voltage limits have to be submitted to the TSO within 3 months (article 28.1). This was communicated by VGB by a dedicated mail from 27 September 2017 to all relevant VGB members. The impact of the European guideline on electricity transmission system operation on existing and new generating units is summarised in a paper. Over 100 participants from India's power sector spoke with German experts about optimum implementation strategies for making power plant operation more flexible at a National Seminar in Delhi in December. The need to operate power plants more flexibly has been widely recognized by Indian power sector stakeholders. India has set itself ambitious expansion goals for renewable energies. While the current total installed capacity in India stands at 309 GW, installed capacity from renewables should reach 175 GW by 2022. Fluctuating feed-in of renewables and associated system stability challenges are already daily business in some Indian states such as Tamil Nadu and Gujarat. The presentation of an IGEF-study marked the highlight of the seminar. 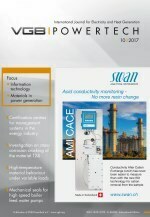 The goal of the study was to investigate the flexibility potential of two Indian power plants. The investigations focused on the coal-fired 210 MW block plants in Dadri and the 500 MW block plant in Simhadri. The study showed that these plants are able to operate flexibly. This is supported by the design of the plants: they are equipped, for example, with a high number of mills, tilting burners and frequency-driven fans and actuators. Taking the quality of Indian coal into consideration, 40 per cent minimum load has been identified as an achievable level, with only moderate investment necessary. A new paradigm is emerging in the electricity sector. Flexibility and adaptability are becoming the main requirements replacing traditional indicators like the operational reliability, the efficiency and the technology excellence. In addition, the new "prosumer" culture based on short-term outlook is hardly compatible with the necessary long lead time projects in the energy sector. The new operating environment creates an atmosphere of uncertainty in the market. Against this background, the VGB Technical Group Performance Indicators prepared an article on the use and usage of the VGB power plants-statistics. While conventional production is losing significance and acceptance in public perception, a recent VGB study shows the importance of the availability of conventional power as a backup of more and more volatile renewable based production. From the sideline to the action. Analytical instrumentation in power cycle chemistry. Electricity Generation - Facts and Figures 2017/2018 is ready to download. You can also order the printed version in the VGB-Shop (limited copies free of charge). 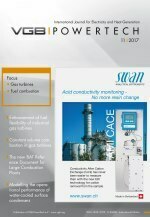 Also in 2018 the VGB PowerTech Journal will continue to provide current information and latest news and findings about the trends in the power business. Make advantage of our renowned journal and print advertising and address your customers and stakeholders to draw the attention to your products and services. The focal issues and deadlines are listed in our editorial schedule supporting decision when to place you advertisement for the maximum yield. Get in touch with us, we would be pleased to make a bespoke offer to increase and improve your market position. 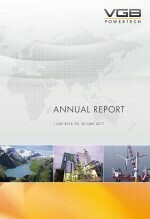 In this Annual Report, VGB PowerTech presents the results of its activities in the reporting period 2016/2017. VGB PowerTech bundles issues and tasks related to electricity and heat generation that are of joint interest for the power industry, i.e. operators, manufacturers, service companies as well as research and development institutes. VGB PowerTech also coordinates relevant activities of member companies with governmental institutions and additional partners in international cooperation worldwide.